Happy Wednesday y’all!! I hope all y’all had a fantastic Easter! This week’s blog is not about the band Jars of Clay (for any of my old school christian music listeners who were wondering *if you don’t know what I’m talking about, go check them out ASAP) it’s actually about us, the broken humans we are. Now before you stop reading, this isn’t going to be bashing all of human nature, quite the opposite actually. So let me explain what a jar of clay is and why it’s significant. 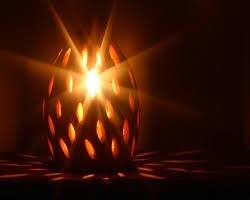 A jar of clay was used as a lamp, they would burn oil in it and the more holes meant the more light. (Shown at the bottom) So you might be asking, why on earth is this important? Well let me tell you, last year I took a New Testament class and my professor said something to our class while we were studying 2 Corinthians that has had a huge impact on my life ever since. He said, we are the jars of clay and the treasure is the Lord, and the more holes we have in us (the hurt, the scars, the brokenness) the more light (Jesus) shines through us. The world often thinks of Christians thinking we’re perfect, and often christians are taught we have to act perfect. But that is hard and impossible, but also non believers aren’t going to want to be friends with us if we act like we don’t make mistakes. Instead let’s show our brokenness and our mistakes, and show how good God is in all of it. Show how the Lord has restored us, and how He’s used our failures. So in every hard thing you face, instead of thinking it will mess up your reputation or beating yourself up about your mistakes, think instead about how the Lord is going to use it. Trust me I know it’s hard, I struggle with it everyday. But also trust me when I say, I’ve seen how God uses every mistake and trial, and let me tell you it’s amazing to see those mistakes help someone else. Also in every hardship remember this verse from James 1:2-4 “Consider it pure joy, my brothers and sisters, whenever you face trials of many kinds, because you know that the testing of your faith produces perseverance. Let perseverance finish its work so that you may be mature and complete, not lacking anything.” Also I heard this somewhere recently and for the life of me and cannot remember where or who said it, but it’s a good reminder “Instead of asking God why am I in this trial? Ask how can I glorify you in it?”. Have a wonderful week y’all and remember that the Lord does have a plan even when it doesn’t feel like it. 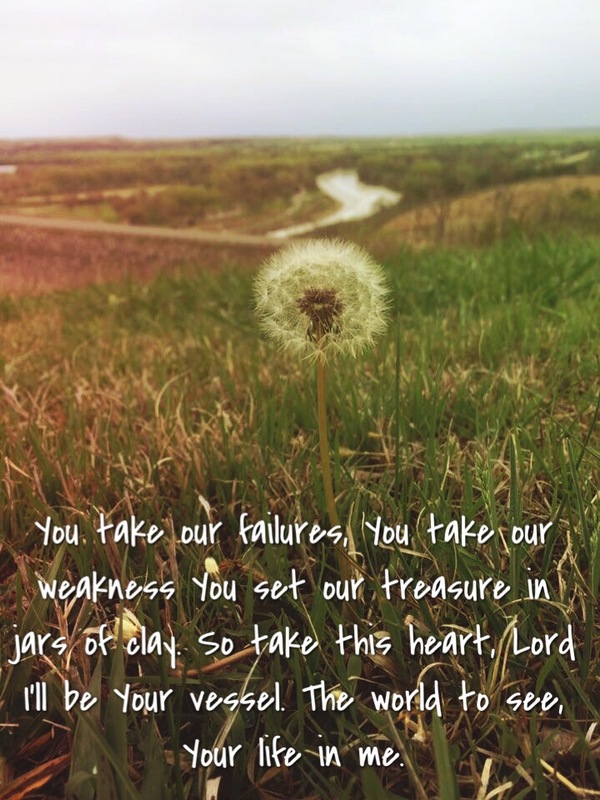 This entry was posted in Christian and tagged 2 Corinthians, broken, hillsong, Jars of Clay, trials. Bookmark the permalink. great job on this one Noelle! !